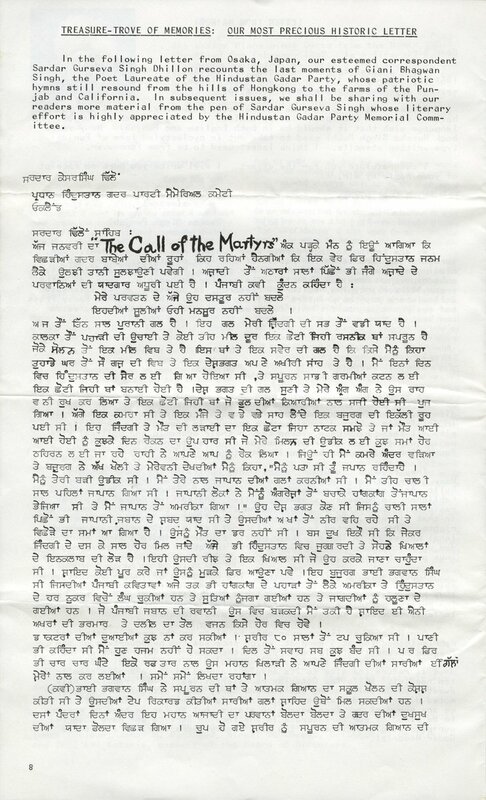 "The Call of the Martyrs"
Bulletin of the Hindustan Gadar Party Memorial Committee (Vol. 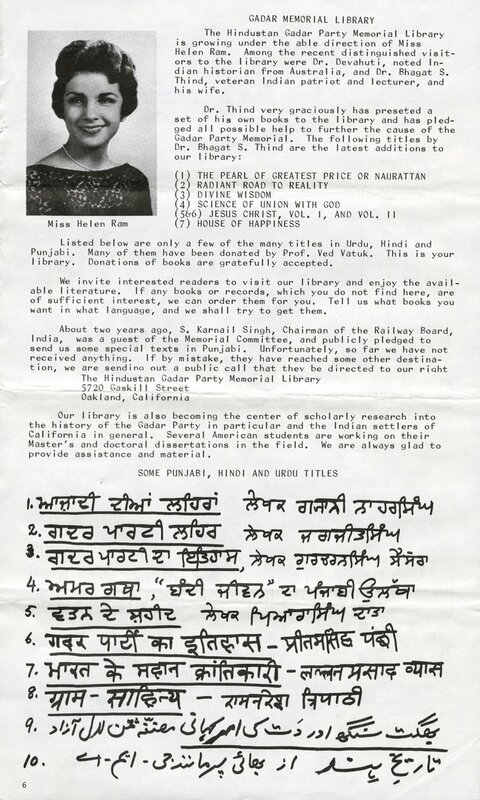 3, No. 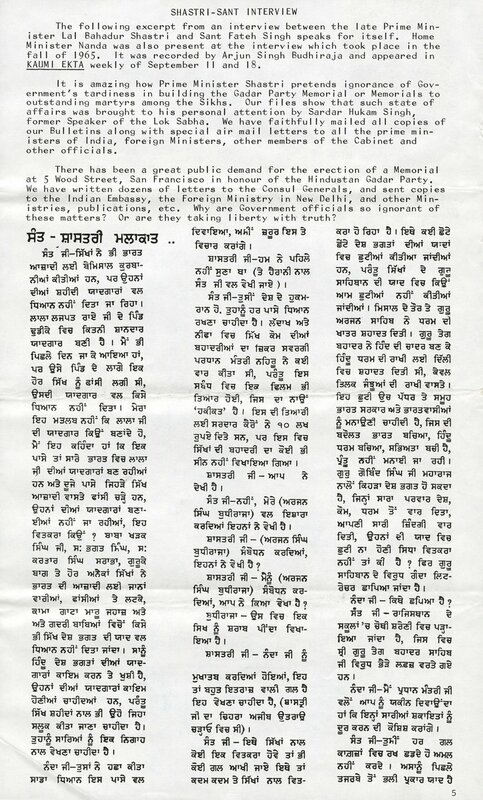 10) dated August 1967, with a front page story on Bhagat Singh Thind. Thind had visited the Gadar Memorial Committee, and commented, "I am unable to fathom the minds of Indian Government leaders who have played hide and seek so long with the Gadar Memorial Committee and show no inclination to honor the martyred souls who gave their all for the freedom and unity of their land. 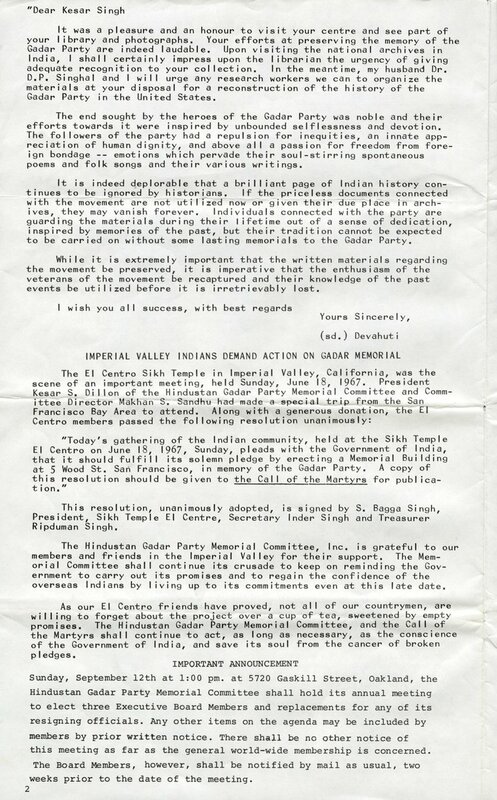 Their mercantile mentality is miserable repulsive to all that we hold high and honorable." 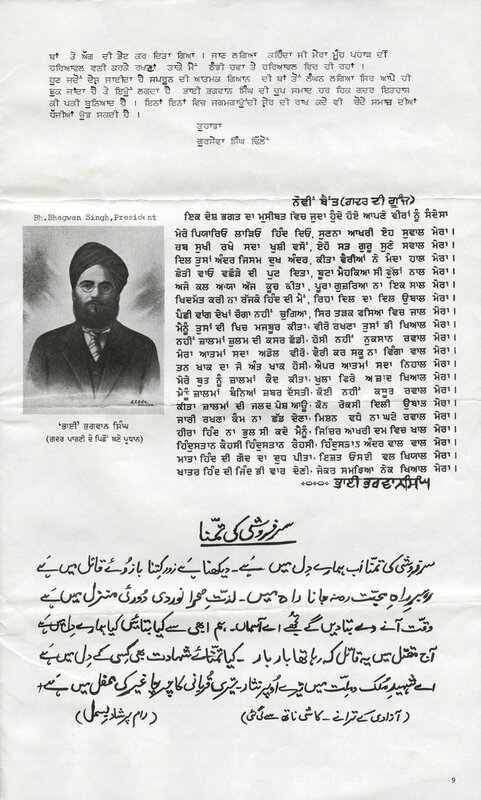 The bulletin also includes several other articles, written in English, Punjabi, and Urdu. 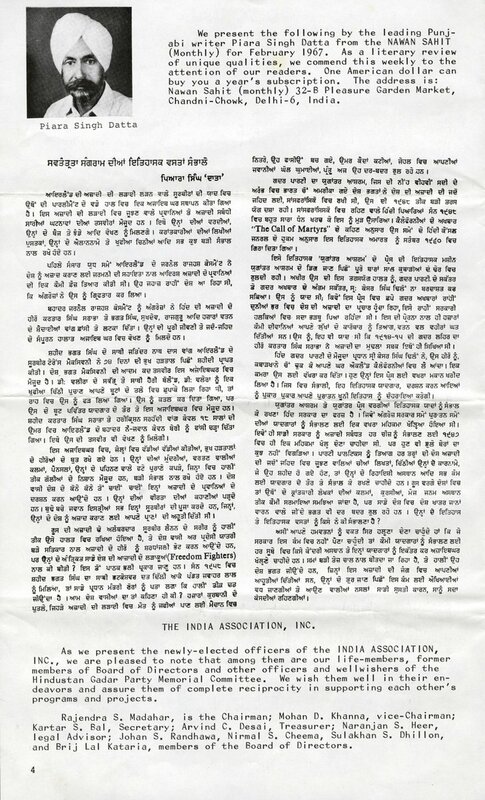 One editorial addresses visits from two visiting scholars, Dr. D.P. 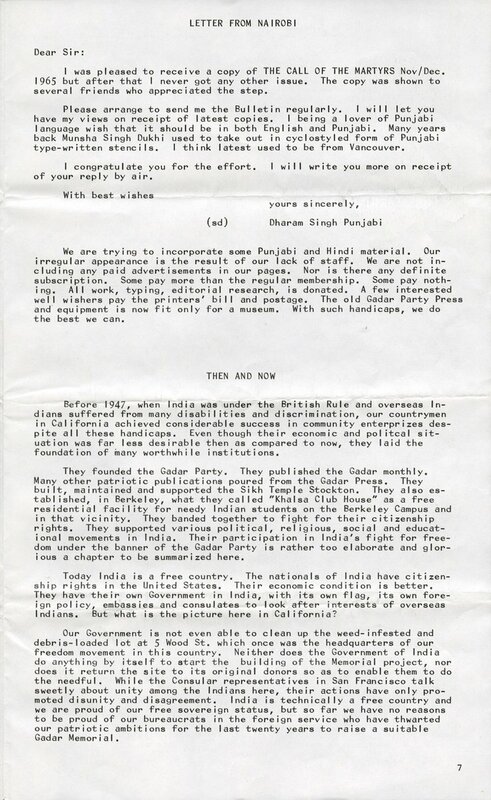 Singhal, Dr. D. Devahuti, and Prof. Ved Prakash Vatuk, who introduced the two to the Gadar memorial committee's work. 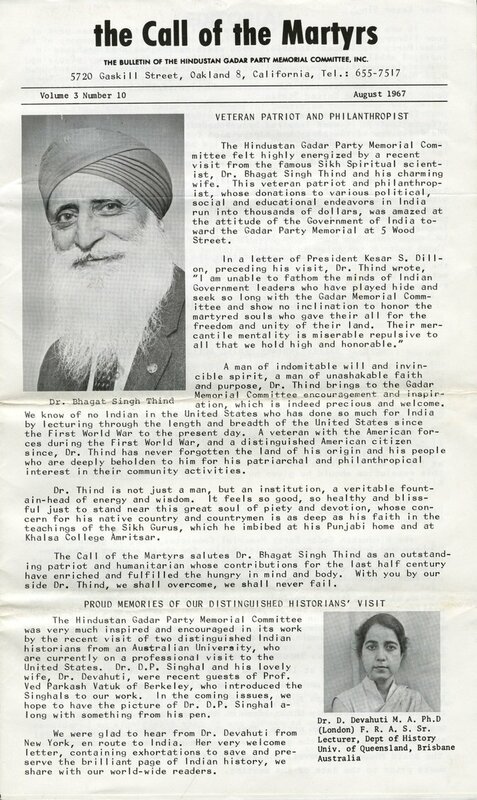 Elsewhere the bulletin describes a meeting at the El Centro Sikh Temple in Imperial Valley, California and a joint resolution to erect a Gadar memorial at 5 Wood Street, San Francisco. 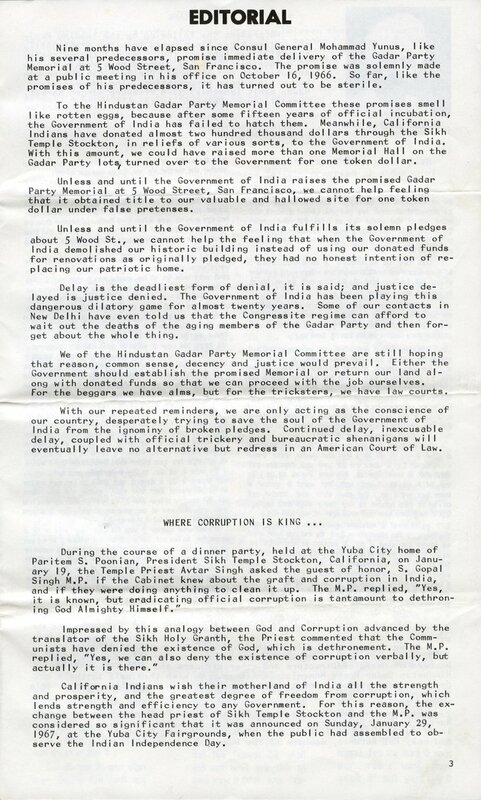 Several other articles describe the efforts to create a Gadar memorial, criticize the unfulfilled promises made by the late Prime Minister Lal Bahadur Shastri, Sant Fateh Singh, and Consul General Mohammad Yunus to do so. 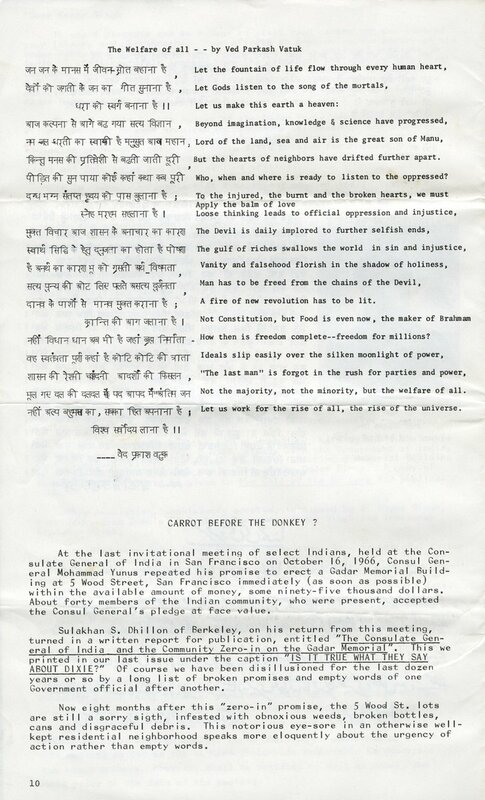 Includes one poem (in Hindi and English) titled "The Welfare of All" by Ved Prakash Vatuk.